72ft Sailing Charter Catamaran – Must Sell. 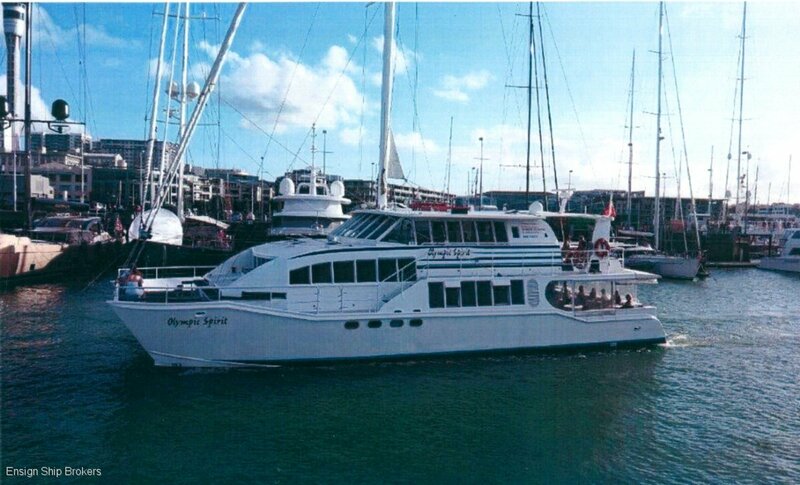 Great opportunity to purchase a Charter Catamaran in New Zealand Survey for 124 passengers plus crew. The boat is still being used and there advanced bookings available for the new owner if you wish to keep the boat in New Zealand. The boat was imported into New Zealand in 2009 where it was refitted to bring it up to New Zealand survey Standards. Cabins 2 x Doubles, 2 x 2 Doubles. Galley LAYOUT: Commercial kitchen, Dish washer. Deck Gear Steel winches. Table & chairs.